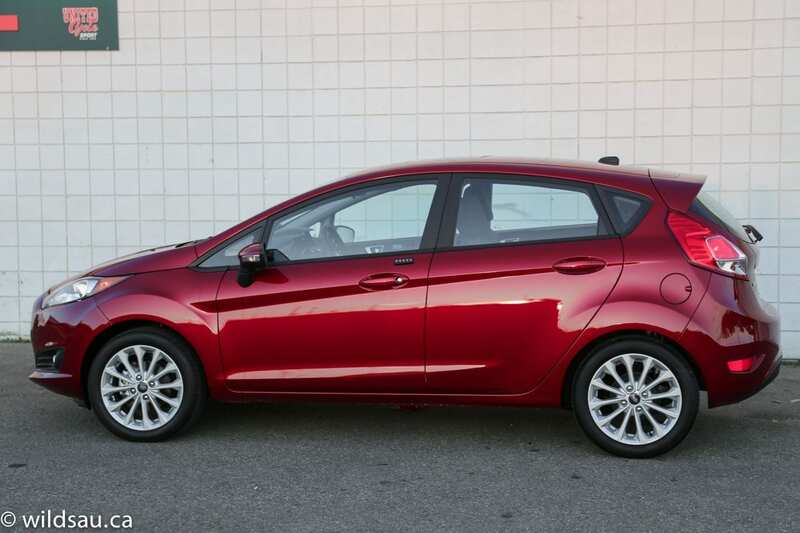 I spent a week driving Ford’s 2014 Fiesta, and I couldn’t stop thinking about the fact that its name means “party” in Spanish. Why would they do that? There must be something behind this, and so I set out to determine what kind of party the Fiesta driving experience is. One of the first bridges you’ll cross when you have a party is the budget. 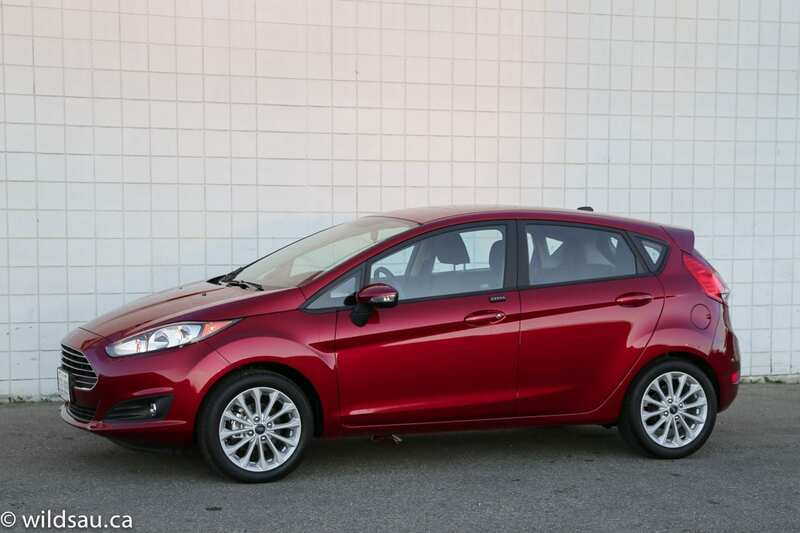 Budgeting for the Fiesta is relatively painless. Dragging this little party around is a 1.6-litre 4-cylinder that puts out 120 horsepower at 6350 RPM and a mere 112 lb.ft of torque at 5000 RPM. All that jam makes its way through a 5-speed manual transmission and on to the front wheels. Parties need drinks. 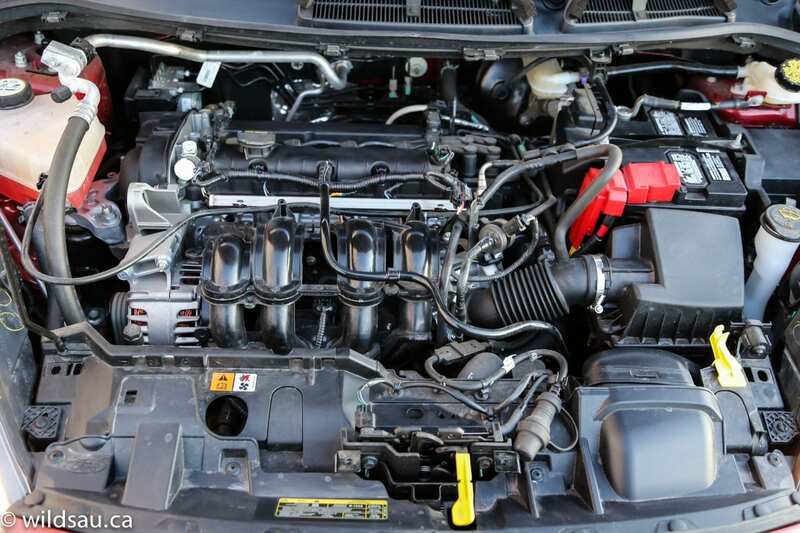 This particular party doesn’t drink a lot – 7.4 L/100 km (32 mpg) in the city and 5.2 L/100 km (45 mpg) on the highway. I ended up with an average of 7.4 L/100 km (32 mpg) during my week, while spending most of my time in slow-moving commuting. Not bad at all! 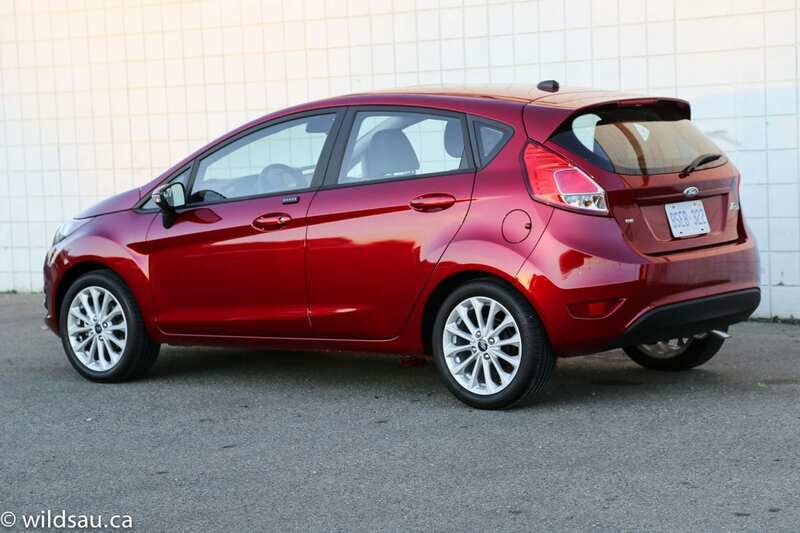 The Fiesta’s exterior, while highly familiar, looks slightly refreshed from the outside. 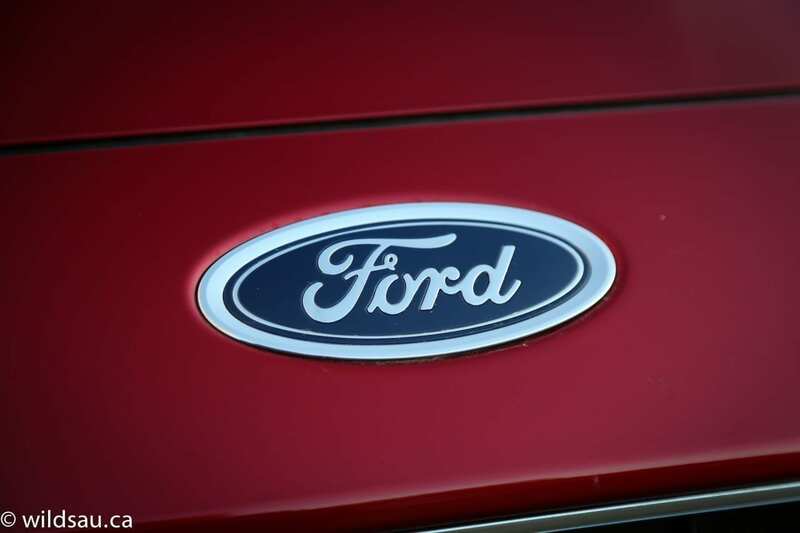 There’s a revised hood and front fascia including the new corporate grille and some fresh headlights. The back yard also got spruced up with some vastly-improved tail lights, and though it’s a small place to host a party, it’s a decent-looking one. 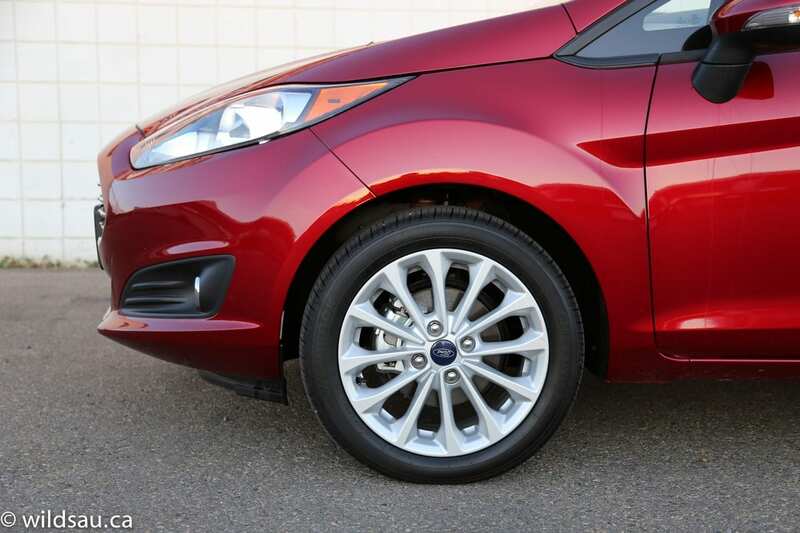 The appearance package adds handsome 16-inch painted aluminum wheels. Oh and foglights, which are perfect to bounce off that disco ball. The Fiesta’s interior comes across as decidedly up-market versus the competition – at the base price anyway. Materials include some soft-touch surfaces, interesting textures and some funky styling. All in all, it’s a pretty dark place to be. 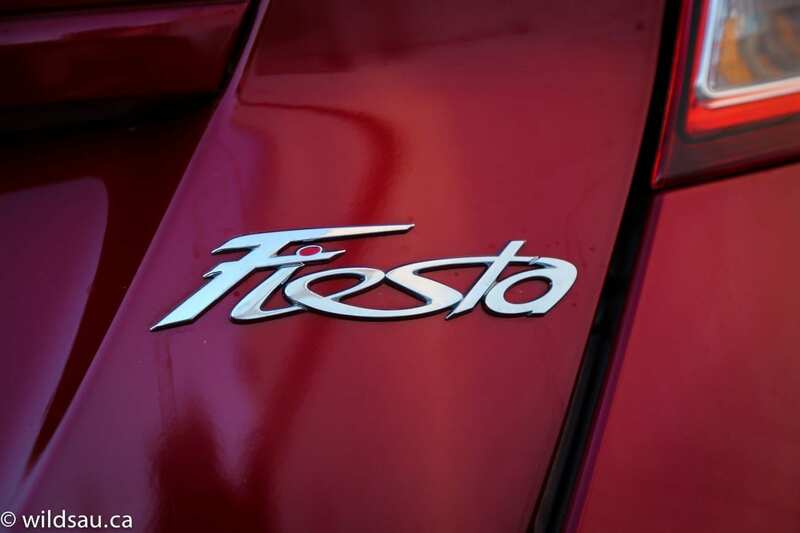 But the Fiesta has an answer for that! Any good party needs ambiance, and part of that is appropriate lighting. 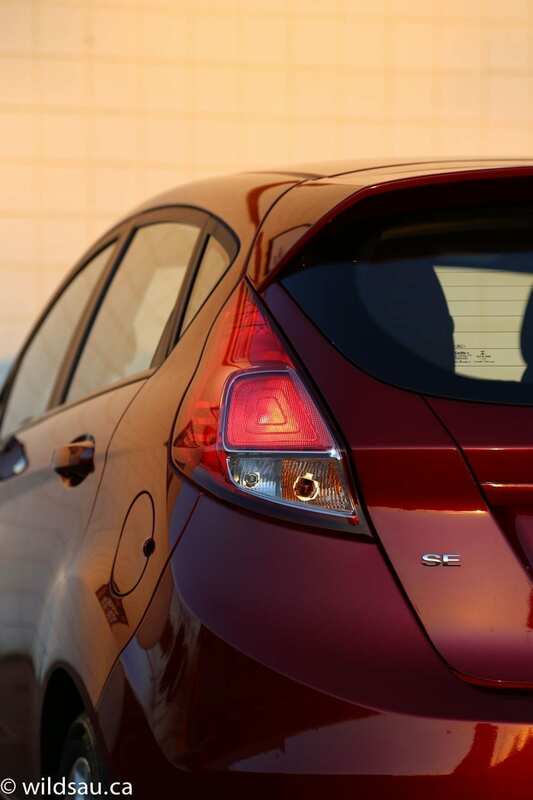 The Fiesta lets you customize the interior lighting scheme, allowing you to choose from a number of colors. 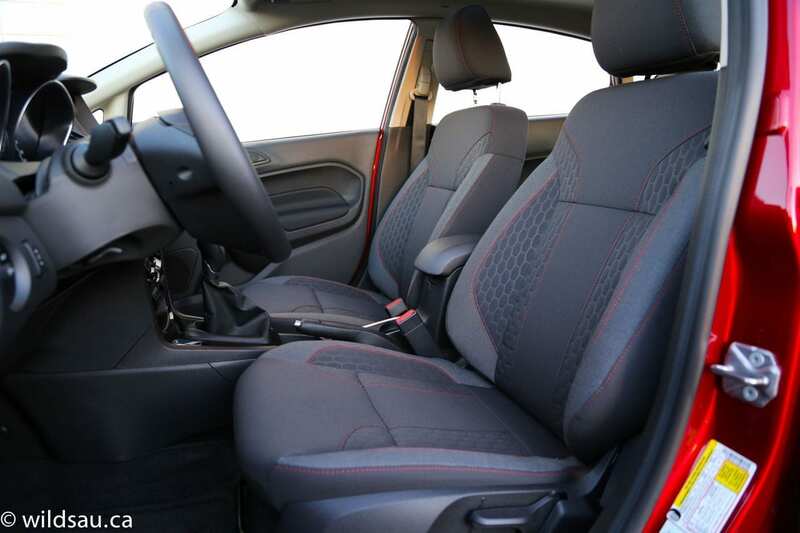 The seats are relatively comfortable fabric thrones, manually adjustable and heated. 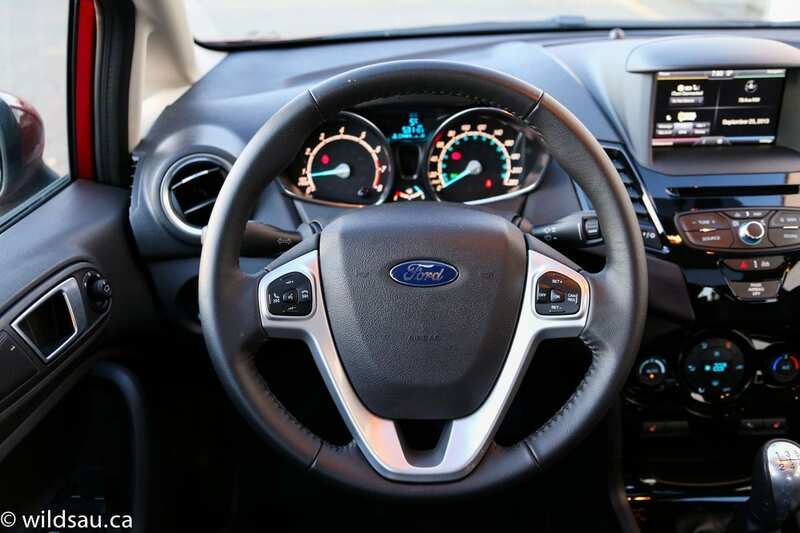 The steering wheel is decent, and has controls for cruise, media and handsfree functions, and there is a small driver information screen between the two large gauges. Any party worth its salt needs good entertainment. 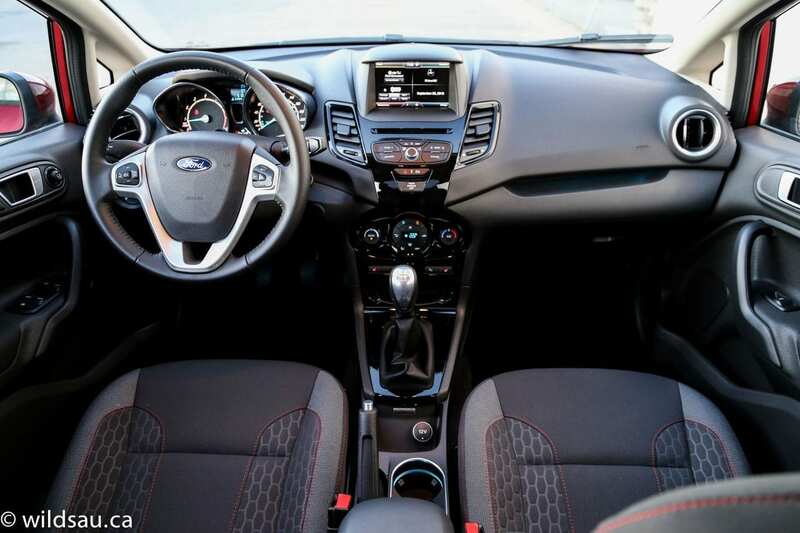 The center stack in the Fiesta has a shrunken 6.5-inch MyFordTouch screen (versus the 8-inch in other Ford applications) – it handles your sound system, phone functions, navigation and vehicle settings. Those tightly-grouped touch-screen buttons that many find irritating on the normal screen are even tighter here, often making it difficult to tap the right one the first time. Add the system’s slow response and the fact that the screen requires me to stretch my arm to even reach it, and you’ve got a less than satisfying system on your hands. Below the screen is an extremely well-laid out pod of hard buttons and a knob to control media functions. Simplicity rules here, and it works very well. 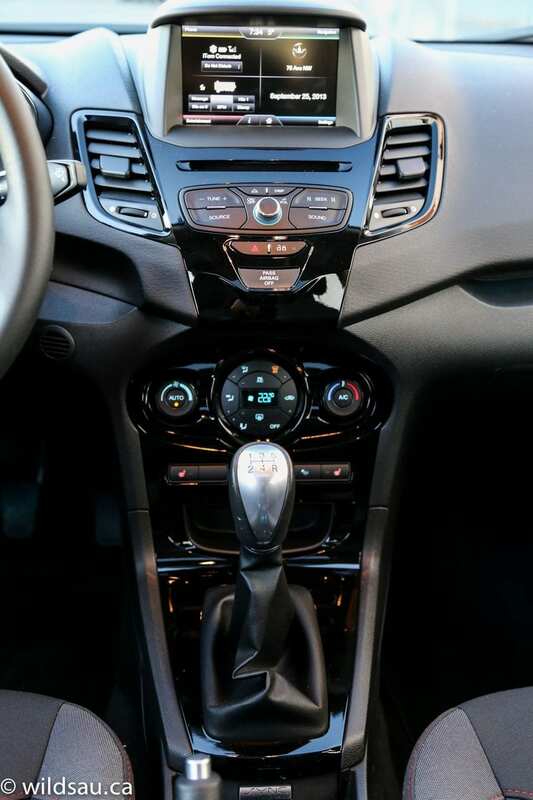 And underneath that, an automatic climate control system to keep you and your guests comfortable. 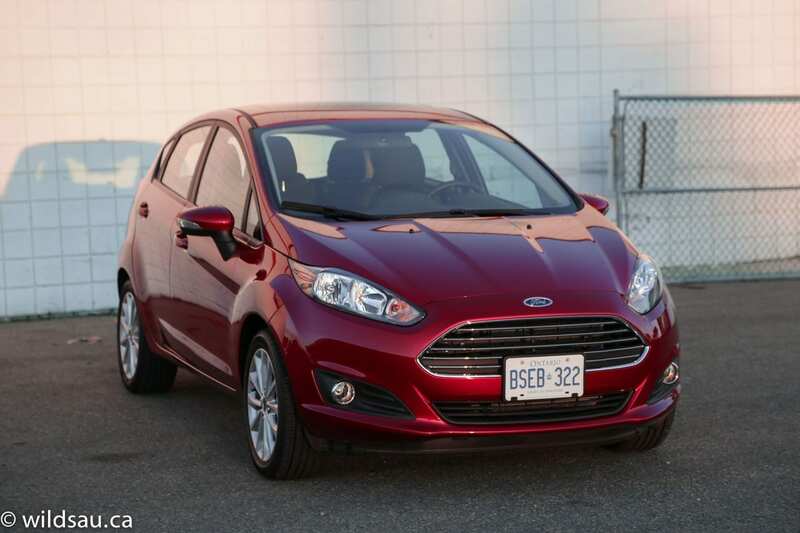 The Fiesta has remote keyless entry and uses a good old-school key to fire it up. One of the options on my review car was the outside keypad, allowing you to punch in a combination and get into the car without a key. Cool little innovation that Ford has stuck with over the years, but my goodness, why does the Fiesta’s have to be so ugly? I didn’t enjoy looking at that black plastic afterthought-tumor stuck onto the door every time I walked up to the vehicle. Three guests could join your party in the back seat, but only two are allowed to have legs. Well, adult-sized legs anyway. The center console has an extended storage area (with a cupholder and 12V plug) that juts back toward the rear middle seat, making it all but impossible for someone to sit there comfortably. 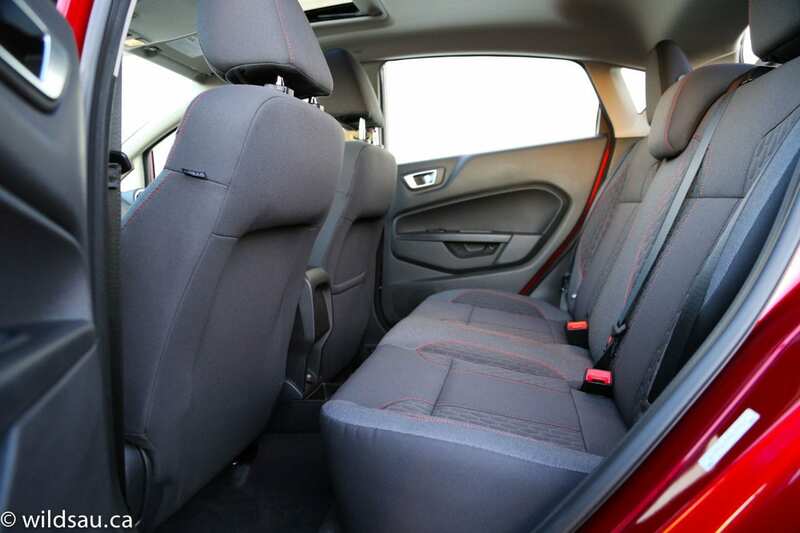 The two main back seats are comfortable but small – head and leg room are at a premium for my 5’10” size. There are two sets of LATCH anchors for kids’ seats. Our three kids were pretty cramped width-wise back there. I almost forgot – it’s no party without cupholders. You get two in the center console, as well as bottle holders in the front door bins. Overhead is a tilt/slide sunroof, which will make your sun worshiping partiers happy. Unfortunately the vanity mirrors are not lit, which will wreak havoc when it’s time to reapply make-up at the party. There are occasional storage cubbies throughout the cabin – the most useful is the angled drop-in bin behind the shifter, which will hold your smartphone and other sundries – there’s also a 12V plug there. Or you can use the bin under the armrest for guests to drop their keys into, if it’s that kind of party. Otherwise, you’ll need to head to the trunk for any real space. It does alright for a small car at 422 litres. 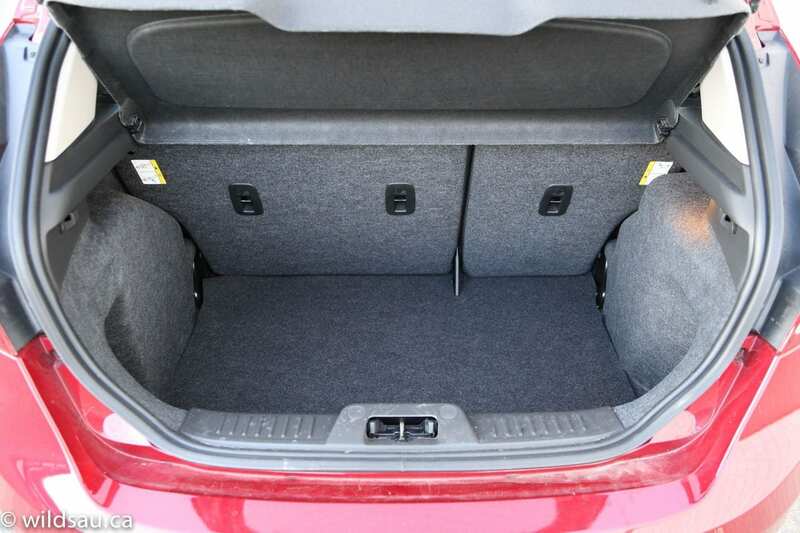 Fold down the rear seats (they split 60/40 and do not fold flat) and you end up with 719 litres of cargo space. Which isn’t a whole lot. There’s a hard tonneau cover that acts as a parcel shelf too. 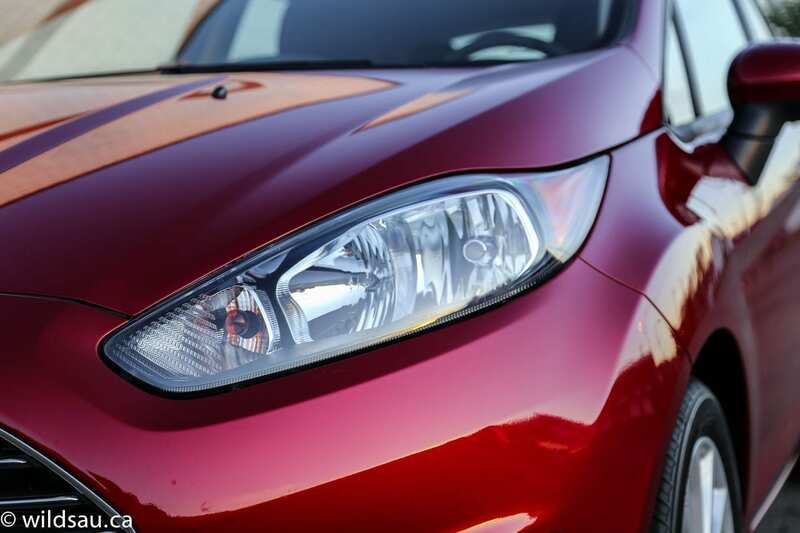 The Fiesta might be an entry-level car, but it comes across as refined and quite substantial on the road. Is it quick? Heck no! The Fiesta will take a leisurely 10 seconds or so to reach 100 km/h but for almost all daily driving situations, it felt responsive enough. And perhaps more so than you might expect for a car that can achieve 40 mpg. I was pleasantly surprised by the clutch pedal – it’s nicely progressive and well-weighted, and although the shifter isn’t the slickest, its action is positive and easy to use. Commuting into downtown Edmonton benefits greatly from hill-start assist, which I appreciated here. 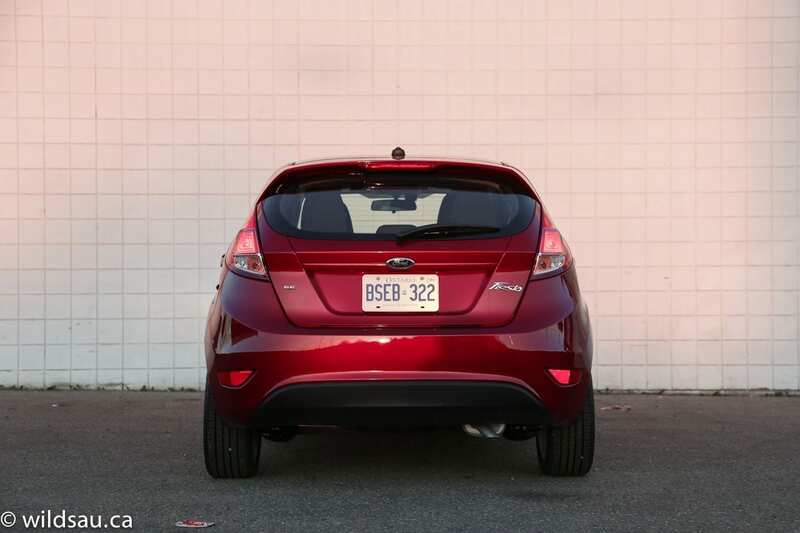 The Fiesta’s ride is firm but remained compliant and mostly comfortable over Edmonton’s terrible roads, only getting out of sorts over chattery roads where the tires got a little slappy over the harsh surfaces. I really liked the handling. 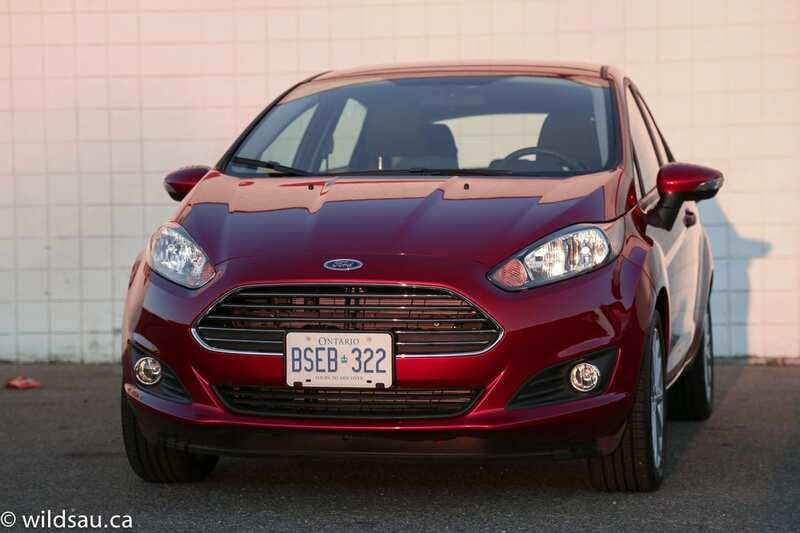 Though there’s some body lean, the Fiesta is nimble and quite responsive, with excellent turn-in. It even gets torque vectoring, once the domain of performance cars. The electric power steering is nicely weighted and has decent feedback – surprising for this class. I found the Fiesta to be quiet enough. Road and wind noise were well-managed, and even at highway speeds, they remained acceptable. Of course, every party has a whiner and when it comes to engine noise, the Fiesta is no exception. You’ll certainly hear the little engine straining under load, and I continued to hear a strange whining sound, especially as I’d make my way through second gear. Visibility out of the car is good. You can even fold down the rear headrests when they’re not in use. The Fiesta is a smart little car. It feels more upscale than some of its competition on the road and in terms of its interior. It also offers a good level of equipment and comfort for the price, and dang it, I had fun driving it! In the end, a great measure of a party’s success is the fun factor and when it comes to that, I liked being at this Fiesta! 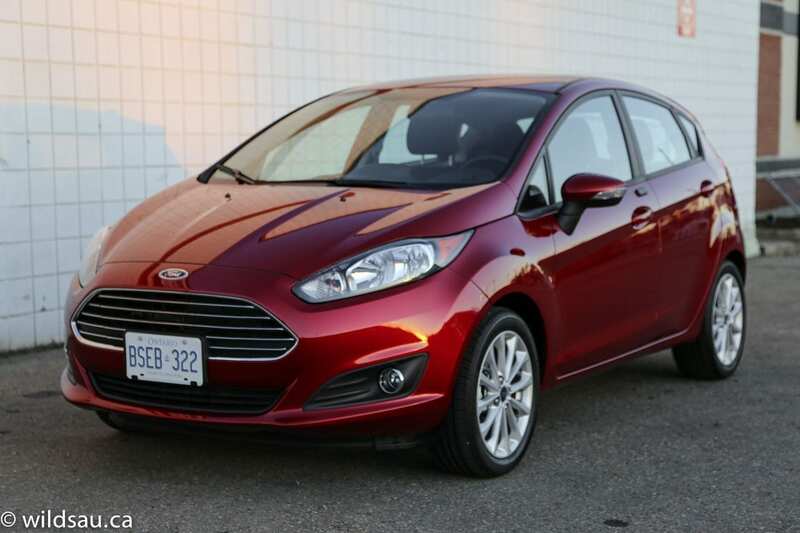 I give the Ford Fiesta a 7 out of 10. WAF (Wife Acceptance Factor) was iffy. She found the Fiesta to be small and noisy (for her), and the small trunk and tight back seat made her cringe.